People Named Debbie, Nancy or Gus Get a Free Pair of Underwear! You are here: Home / freebies and free samples / People Named Debbie, Nancy or Gus Get a Free Pair of Underwear! 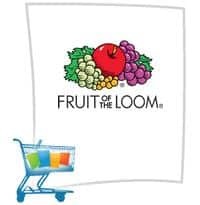 Fruit of the Loom is giving away free underwear to people named Nancy, Debbie or Gus. This probably sounds insane. But, hey, we’re not the ones making up these freebies. Just click this link to learn more about the offer!